These are difficult times. Numerous conflicts are negatively impacting the framework conditions for the development of the global economy. Protectionist tendencies are on the rise – and not only from the current US government. 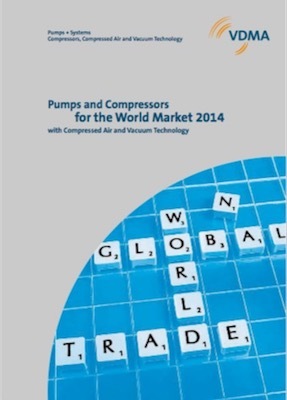 While the future is hard to predict, our pumps and compressors sector has held up well under these conditions. 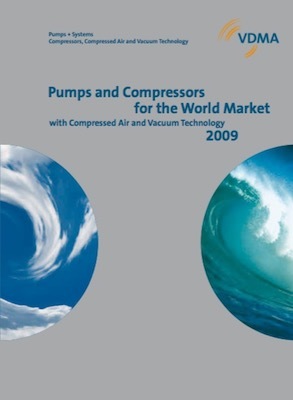 This publication presents an overview with the wide range of possible uses for pumps and compressors: permanent magnet motors in water supply pumping systems, rotary pumps for chemical and pharmaceutical applications, screw spindle pumps in the fuel supply of large gas turbines, magnetic drive pumps with ceramic canisters, high-pressure compressors for the (petro-) chemical industry, compressed air storage power stations for supplying energy generated from the sun and wind. In this issue of our technical leaflet as well, we show you the many and varied possible applications of pumps and compressors: system efficiency thanks to Industry 4.0, pumps made of mineral casting in power plant technology, sustained extraction with carbon dioxide, hybrid compressors for hydrogen supply applications, compressed air for nitrogen production, vacuum generation in the production of clay roofing tiles, and vacuum technology in lithium ion batteries. The niche product gear pumps with their various functions, the use of high-pressure plunger pumps in modern water hydraulics, the advantages of aluminium as a construction material in the manufacture of vacuum containers, the development of diaphragm compressors from niche products to all-rounders - once again, the applications for pumps and compressors described in this issue of our technical booklet are and remain very diverse. 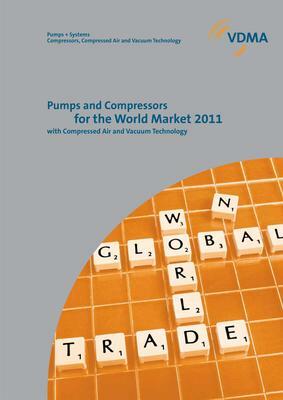 The applications for pumps and compressors are manifold. Metering pumps for environmentally friendly use in industry, the fast and efficient leak detection of gas supply lines by spraying with helium and the use of leakage-free and highly available compressors for feeding bio natural gas into the biorefinery are just three applications that we present in the seventh edition of our technical journal. 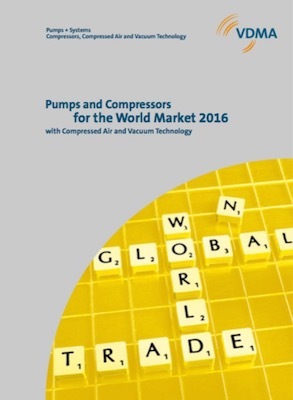 We inform you with "Pumps and compressors for the world market 2014" about technical solutions and new applications in the fields of pumps and systems as well as compressors, compressed air and vacuum technology. 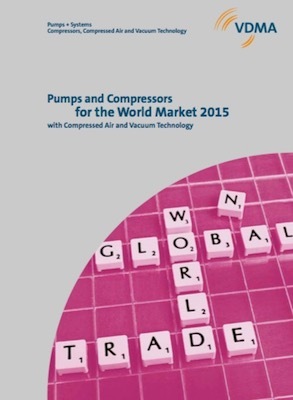 Piston diaphragm pumps for sludge transport or radial turbines for power generation from geothermal energy are just two of the numerous applications for pumps and compressors that we present in this specialist publication. Screw pumps in the food and pharmaceutical industries or compressed air for controlling packaging and production machines are just two of the many possible applications for pumps and compressors that we present in this technical booklet. With "Pumps and Compressors for the World Market 2013" we provide information on technical solutions and new applications in the fields of pumps and systems as well as compressors, compressed air and vacuum technology. As in previous years, our trade magazine "Pumps and Compressors for the World Market 2012" from the VDMA trade associations Pumps + Systems as well as compressors, compressed air and vacuum technology provides information on technical solutions or new applications. In neutral form, it demonstrates the extraordinary performance of German companies. In addition, the VDMA sustainability initiative Blue Competence provides information on sustainability in machine and plant construction. Energy, sustainability as well as energy and resource efficiency - important topics of the future, which also include mechanical engineering and in particular the sectors of pumps and systems as well as compressors, compressed air and vacuum technology and offer a wide range of technical solutions for this purpose that ensure sustainable business success. The trade journal "Pumps and Compressors for the World Market 2010" provides information on the latest developments and shows the extraordinary performance of German companies. The magazine is designed by competent and committed authors from our members and the VDMA, who report in a neutral form on new applications or technical solutions in the fields of pumps, compressors, compressed air and vacuum technology. The 2009 edition of the specialist magazine "Pumps and compressors for the world market with compressed air and vacuum technology", published by the VDMA trade associations Pumps + Systems as well as Compressors, Compressed Air and Vacuum Technology, will be published by VDMA Verlag for the first time. In addition to the articles, there is a clearly arranged basic matrix in the magazine, which makes it possible to find a product or manufacturer quickly.